At Feel Good Dentistry, we know that sleep apnea affects millions of people - and that many of them don`t even realize it! Dr. Rene Piedra will tell you that, left untreated, sleep apnea can be associated with higher risks of serious health problems like heart attack or stroke. Sleep disorders can compromise your whole-body health. 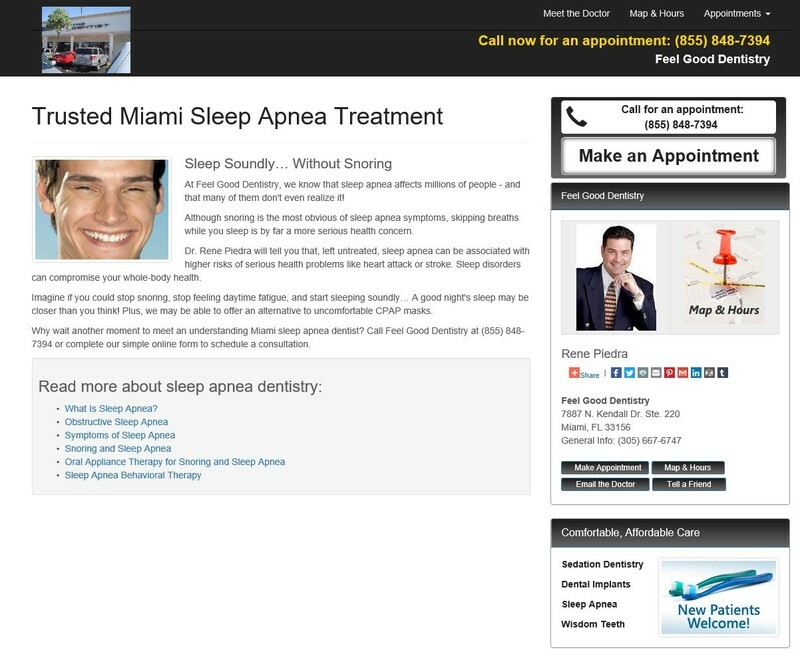 Why wait another moment to meet an understanding Miami sleep apnea dentist? Call us or complete our simple online form to schedule a consultation.